Andy Warhol Studio 54 weekend took place this weekend from 15-17th of July, at Puro Beach with amazing art and entertainment! After dinner in the gallery restaurant the fun night started, where art, music and live entertainment were mixed into Studio 54. Besides having a good time at Puro Beach, you could also admire the artworks by the famous artist Andy Warhol, which are now displayed in Guarnieri Showroom until September. For private viewing call Saeko Hamada from Coastfield projects 639 213 956. The entertainment was provided by the fabulous duo Enigma & Satine, who took us back to the Studio 54 times with their amazing show! Thank you so much for coming everyone !!! 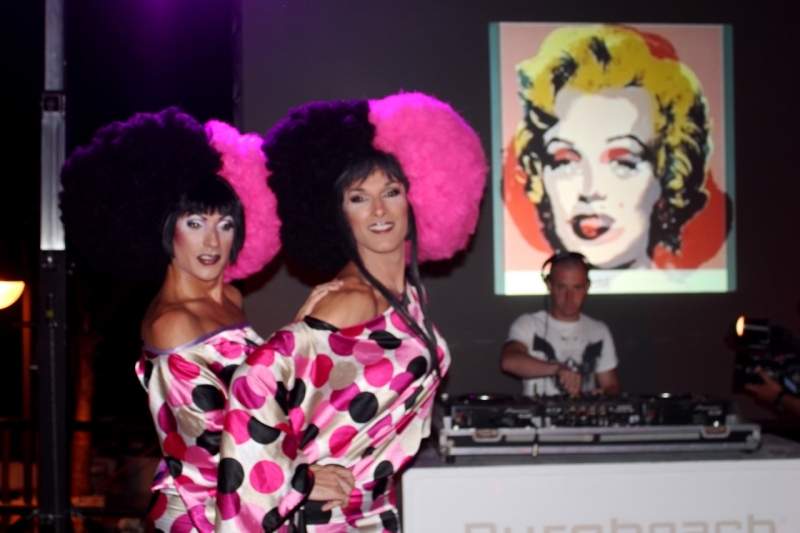 I hope you enjoyed ANDY WARHOL and STUDIO 54 show by DIAMONDSFOREVER in Puro Beach. It has been my pleasure to have you all at my events hosted by Puro Beach. I see you all very soon !! Special Thank you to Guarnieri, Dellart, Diamonsforever and PURO BEACH. Interested in buying art by Andy Warhol?